He has been teaching Secular Mindfulness, both MBSR, MBCT and Breathworks, since 2005. He has extensive experience in mindfulness practices and teaching. He runs Mindfulness Teacher Training programs, Train the Trainer programs and teaches Mindfulness-Based Cognitive Therapy and Stress Reduction Approaches (MBCT/MBSR/Breathworks) to help prevent relapse into depression and to manage stress and anxiety. Bodhin trained with the Centre for Mindfulness Research and Practice (CMRP) School of Psychology, Bangor University in MBSR:- Teacher Training Retreat 1 and the MBSR Specialist with Rebecca Crane, Taravajra, Karunavira and Bethan Roberts. Bodhin has attended the Supervision Training with Bangor University Centre for Mindfulness Research and Practice. Bodhin has attended the Mindfulness Inquiry Workshop also with Bangor CMRP. Bodhin was trained in Mindfulness-Based Cognitive Therapy (MBCT) in 2005 by Dr Paramabandhu Groves, an NHS Consultant Psychiatrist, at the Breathing space in the London Buddhist Centre. He has taught the classic MBCT and MBSR course more than 100 times during the last 15 years to several hundred pupils. He teaches it in the 8-week format and also in a 6-day intense retreat format in his own retreat centre in Spain, Solterreno. Bodhin founded Mindful Academy with Kathy Ward in 2012 and has helped more than 220 students graduate as MBSR Mindfulness Teachers and Qualified MBSR Teachers (QMT). He facilitates supervision to many of those graduates. Bodhin is also an accredited Breathworks Mindfulness Trainer; Link. Living Well with Pain, Stress and Illness and Mindfulness for Stress. "This programme of practice and training is part of my commitment to deepening my own practice and ensuring the integrity and effectiveness of the training I offer." 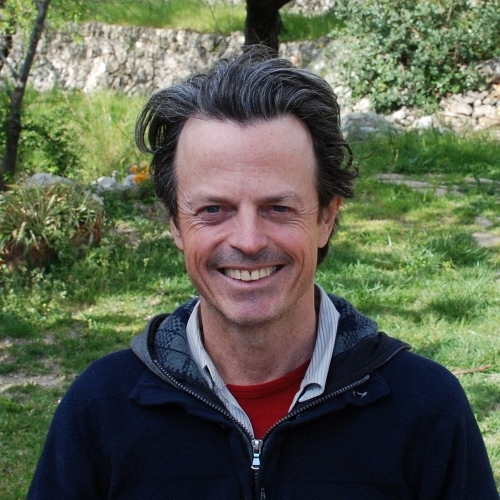 Bodhin runs Mindfulness retreats in Spain based on the Mindfulness-Based Stress Reduction (MBSR) work done by Jon Kabat Zin, and Mindfulness-Based Cognitive Therapy (MBCT) by Mark Williams and others. He generally teaches in the rural retreat centre Solterreno, during a 6-day retreat, covering the main elements of the 8 session MBSR course, complemented with daily Yoga sessions; Mindfulness-based Therapeutic Yoga and also Yin Yoga. He started his intense Mindfulness training with the Triratna Buddhist Order in 1990 which culminated in his Ordination in India in the year 2000. He has attended more than 80 retreats, the longest a 4-month retreat. He was Manager of a Right Livelihood Buddhist business for 8 years and Buddhist Study leader and part of the team preparing people for Ordination in Valencia. Born in 1958 in Yorkshire UK. Has a degree in communication. Worked some 15 years as a freelance video editor for television companies (BBC, C4 etc.) making mainly documentaries. Started meditating at the London Buddhist Centre in 1984. Travelled to China and Tibet in 1985 where he connected with a living Buddhism. In 1990 worked a year in Madrid and then decided to stay and live in Spain. In 1991 spent 8 months living in Guhyaloka, a Triratna Buddhist Order retreat centre in the mountains near Alicante. Later went to live in Valencia helping set up the Buddhist Centre there, living in communities, studying Buddhism and meditating intensely. In 1995 helped set up and run Evolution, a Buddhist business trying to take their altruistic ideals into the work situation. During the 1990's he embarked upon a pathway to become an Ordained Buddhist which included substantial study and a series of six preparation retreats culmination in his Ordination into the Triratna Buddhist Order in India in January 2000. He then spent a few years working in and around the Valencian Buddhist Centre, taking an active part in the council, and as treasurer, Dharma study leader, and teaching meditation classes. He helped set up the annual retreats during Easter and in the summer at Tusita in northern Spain. In 2003 he founded Solterreno Retreat Centre. "I purchased the terraced orchards in 2003 and then started planning and building the retreat centre. We started living here full time in 2007. I have built most of the buildings myself and am very interested in organic low impact buildings including energy saving designs." He now lives with his wife Adelina and son David close to Solterreno Retreat Centre.